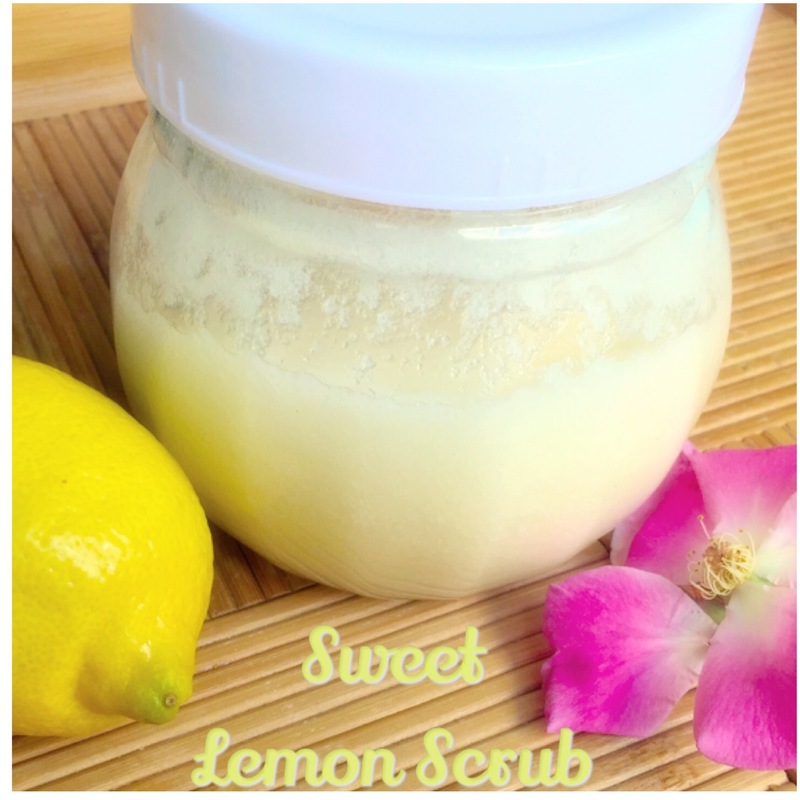 The Body Shop Sweet Lemon Scrub DIY Refill..
Great for pedicures & clearing up skin while moisturizing!! I have always loved companies like The Honest Company, St. Ives, Lush & The Body Shop. I swear, nothing works on skin like the most natural products!! It’s part of the reason I started this blog…to show others it really is a great option!! They are free of chemicals so it doesn’t dry out your skin or train your skin to rely on things it doesn’t need. I had the worst time with my combination skin. So when I found Lush, I was in skincare paradise. I became obsessed with how all these natural things made the best option for skincare. When I had my first child, I began to make sure I only used the best products on them too. Although making recipes yourself is mighty easy and fun, I still love to buy from stores because no one can get it quite right like they can. That being said, you can make it and get pretty darn close if you just base the consistency to your preference. 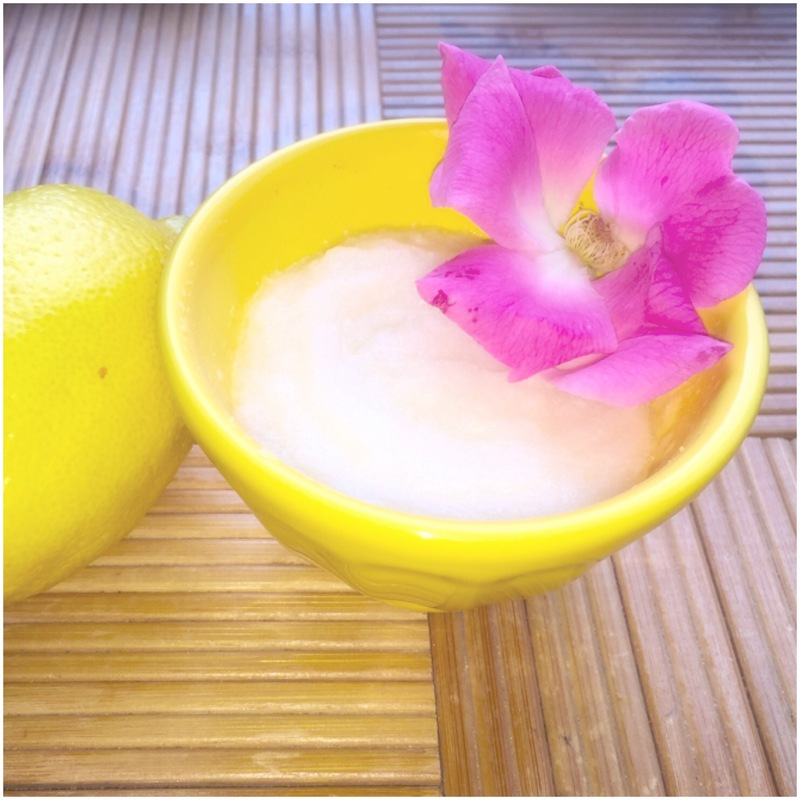 Mix 2 cups sugar, and juice 2 small lemons or even one large lemon…melt 1 tbsp coconut oil. Make sure all ingredients are mixed to desired consistency. 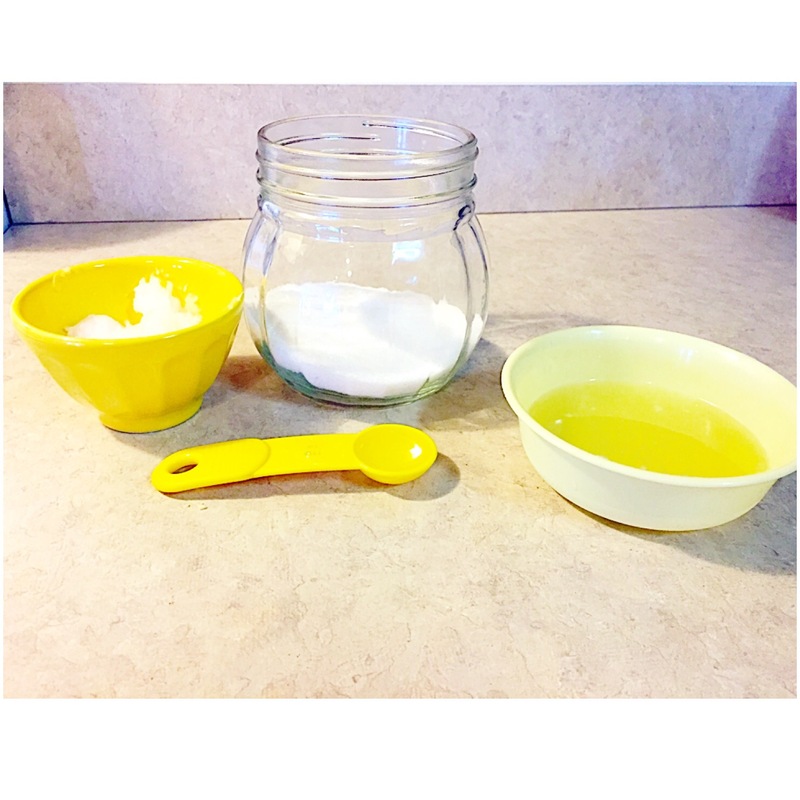 Now here is one of my tips for use of oils in skincare…I only use coconut oil on my body. It’s great for dry skin. If you want to use the scrub on your face pick a light oil, such as grapeseed or sunflower!! It’s not greasy like the super moisturizer that is coconut oil. There you have it! I’m delving far in to the world of making my own scrubs and starting to even make products for my newest baby, who will be coming very soon! So if you have any questions at all feel free to ask and I can guide you to a recipe that’s a little better for your skin type or your needs!! Thank you for reading! I just love to share my recipes with you all, as you share your wonderful tips and reviews too! Love natural things like this!